Honest Reporting Canada went into action and contacted the editors at CBC. 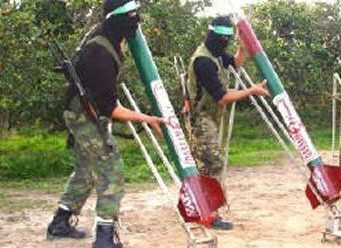 Contrary to the statement on CBC, they noted, "the Israel Defense Forces claim that in '2012 alone, over 270 rockets fired from the Gaza Strip hit Israel' and 'In 2011 alone, 627 rockets from Gaza hit Israeli towns.'" Honest Reporting Canada notes, however, that the correction "was inadequate as it only made reference to 'other rocket attacks' and thereby failed to indicate that Israel has been on the receiving end of hundreds of rockets in the past year alone from Gaza." "This was a significant omission on the CBC’s part," Honest Reporting explained, "especially as the crux of this issue centered around the number of rockets that have been fired at Israel from Gaza in the past year. Instead of providing the most precise, accurate, and relevant information for the benefit of CBC’s viewing audience, CBC journalists produced a vague corrective notice bereft of important information. Notwithstanding, we thank CBC News for promptly addressing this matter and for endeavoring to set the record straight with this correction."